Mixing high culture with the beauty of football, this well crafted and beautifully prepared series of posters allows the football fan to celebrate their team, all the while hiding in plain sight the 6 year old in all of us who had the posters of his favourite team and player scattered all over their walls. Hanging a poster or flag with a team logo or athlete on your walls is rightfully seen as, well, immature. So how do you show support for your favorite team, but keep things grown-up? Do it with one of these beautifully designed (dare we say, elegant?) sporting posters featuring classied-up versions of English Premier League and MLB team logos (NFL teams appear to be on the way). Tuck one of these in the stocking — and put the IKEA Ribba frame to fit it under the tree. Today, my husband sent through an email titled ‘We need this for our home!’ and the website link enclosed was to artofsportstore.com I don’t mind sports, but don’t live to watch them. I’m happy to nap with a game on in the background and love going to live matches, but definitely can’t spend my weekend in front of a television. So when I saw the link, I switched into skeptical wife mode and was worried about what I would find when I clicked through. Action photography, signed balls, or perhaps some reference to the last time they won the Premier League. These would be very out of character for Liam to suggest, but I thought maybe this was going to be the weak spot in his otherwise solid taste. As it turns out, I was VERY wrong. There are two designers in San Francisco who share his love for football, and have created pieces that I think most people – sport lovers or not – would be more than happy to have on their walls. The sports poster, like so many child actors, often gets forced into early retirement. Once proudly pinned on a dorm-room wall, that Troy Aikman print eventually becomes a guy's awkward reminder of getting older and it gets dumped, or at best gets relegated to a "man cave" along with the other stuff his girlfriend doesn't want to see. Which famous English soccer team is this poster dedicated to? Click to find out. Two British expats recently set out to design sports posters worthy of the living room, and we're impressed with the results so far. Art of Sport could have named itself Art of Stealth. Its cryptic soccer-team posters appear meant to fly under the radar of a person's non-sports-loving companion, or at least to win her over with minimalism. "With the help of a few pints we set about sketching out something we could get in the house, and the ladies could live with," said JP Stallard, who met fellow co-founder Rob Duncan while watching a Champions League final in a San Francisco pub. Those gold hammers set up against a maroon background? They depict the unofficial nickname for West Ham United. The white eagle flying under a light-blue sky? The colors and shield for Manchester City. 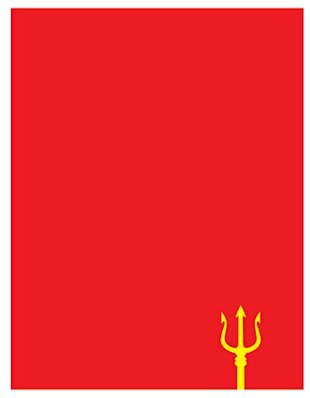 The Rothko-esque poster for Liverpool FC merely includes various shades of red, the team's home-uniform color. A literal vision of the Giants' World Series sweep. Stallard and Duncan have focused on English soccer teams since they launched in September, which makes sense because they're die-hard fans of Premier League rivals Arsenal and Liverpool. But they got my attention with a new print that celebrates my beloved San Francisco Giants' World Series sweep. The poster is consistent with the art-house treatment all the teams get: there's no logo or mention of the Giants. 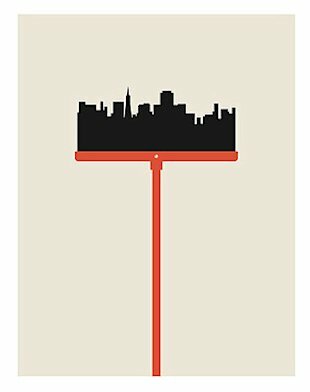 It's just an orange broom with the city's skyline as the bristles and a tiny "San Francisco 2012" written upside-down. It sold me -- I bought one of the 50 that were released. The designers hope to expand their catalog to more American teams, especially the NFL. And who wouldn't want to see the larger-than-life Dallas Cowboys or New York Jets go all hipster-beard, modern art on us? This needs to happen if only for the amusement. As for whether the prints really do pass the domestic test, Stallard said they've done so in his own home. "My wife Brittanie loved them (but she might be biased)," he said. "She's American and more into baseball so was a big fan of the "Swept" poster. So we have it between our "Keep Calm (and Carry On)" and"'Future Site of Low-intensity Conflict" poster on the mantelpiece."